The 2016 Fan Experience will be held on Friday April 8 2016 between 4:30 pm – 6:30 pm at Alexandra Park Community Centre. Schedule will be announced soon. The 2015 ISFFE Fan Experience gave attendees an opportunity to meet with sports people and take part in interactive events. 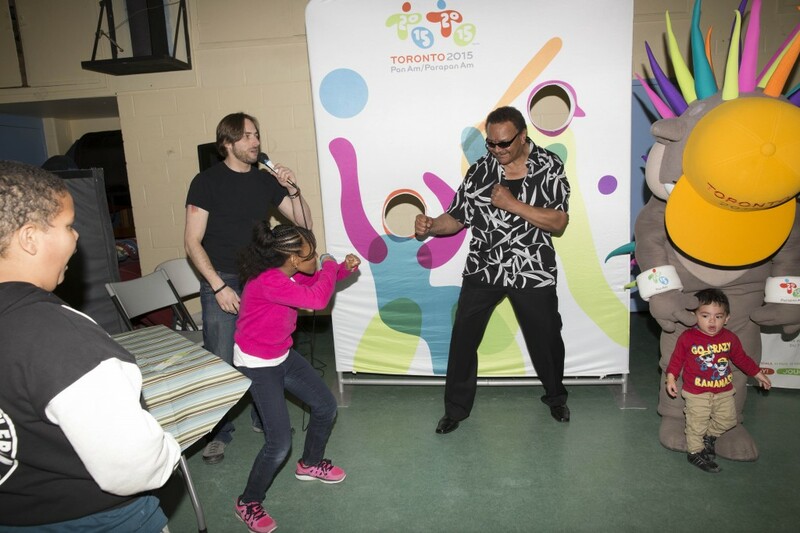 The event was affiliated with the Toronto 2015 Pan Am/Parapan Am IGNITE program. 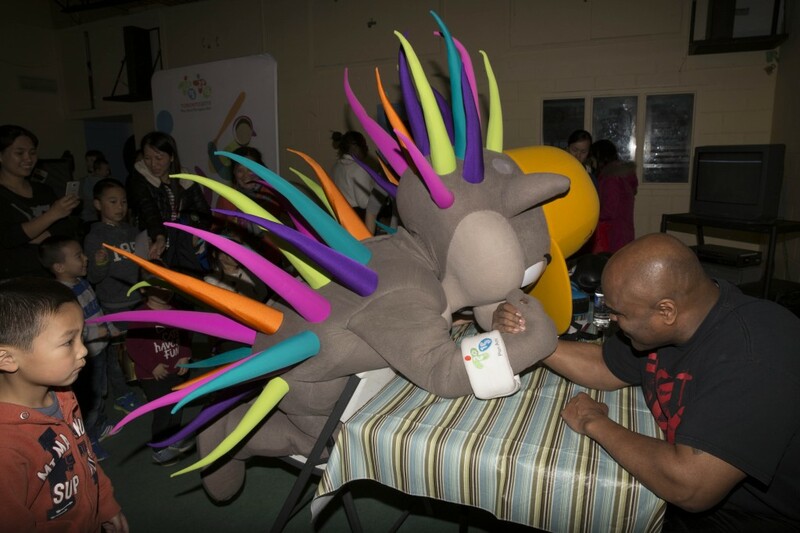 Pachi and the kids arm wrestled with former World Arm Wrestling champ and former MMA fighter, Gary Goodridge. 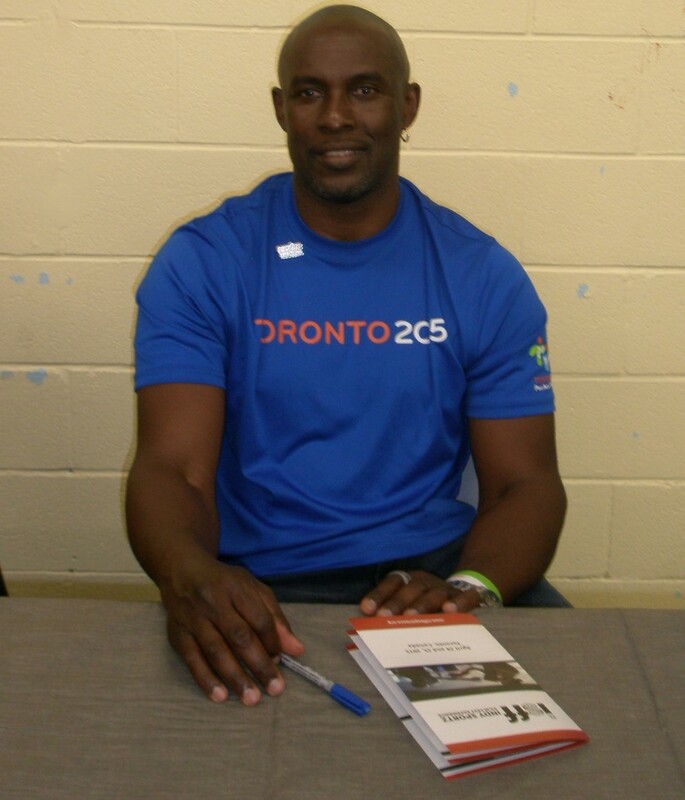 TO2015 Pan Am/Parapan Am Athlete, Papito Wilson attended the Fan Experience. The IGNITE Pan Am/ Parapan Am program was a partner of the Fan Experience and also featured an appearance by Pachi, the Mascot and distribution of Pan Am memorabilia to fans. Ricky Johnson and Rocky Johnson formed the “The Soul Patrol.” The brothers held the prestigious NWA Polynesian Tag Team Championship on two occasions in the mid-1980s (84 and 85). Attendees got the opportunity to ‘cut a promo’ with this former tag team champion and uncle of mega-movie star, “The Rock”. 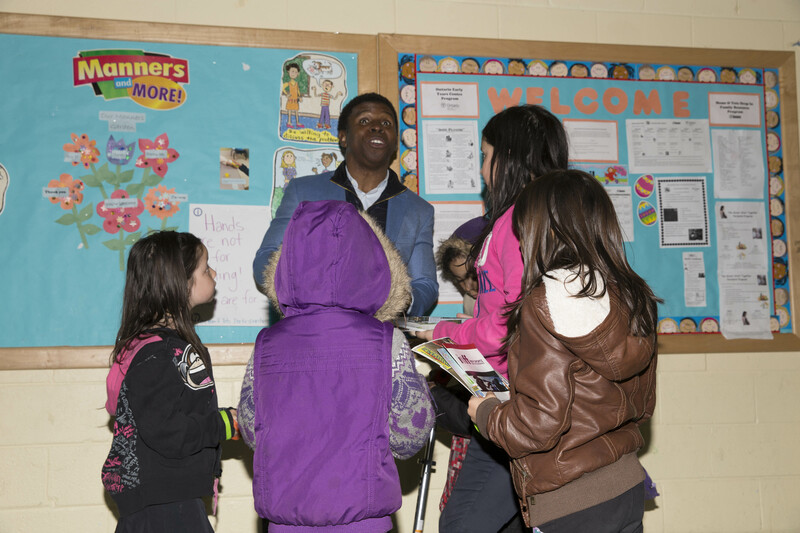 Michael ‘Pinball’ Clemons, former Canadian Football League (CFL) player and Grey Cup champion made an appearance at the Fan Experience. The kids and youth were thrilled to see him. Carlifornia-based psychiatrist and consultant, Dr. David Reiss spoke on mental well-being among athletes. See DMR Dynamics for more about his work. 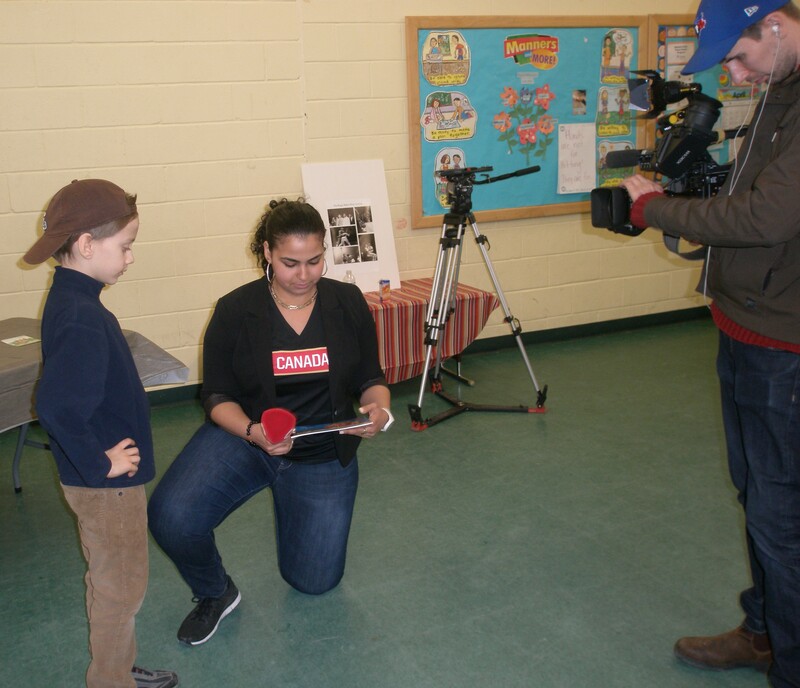 Author and sports journalist and writer for SLAM Wrestling, Greg Oliver attended the Fan Experience along with his son and author, Quinn Oliver who shared his book, ‘Duck with a Puck’ with young Fans. 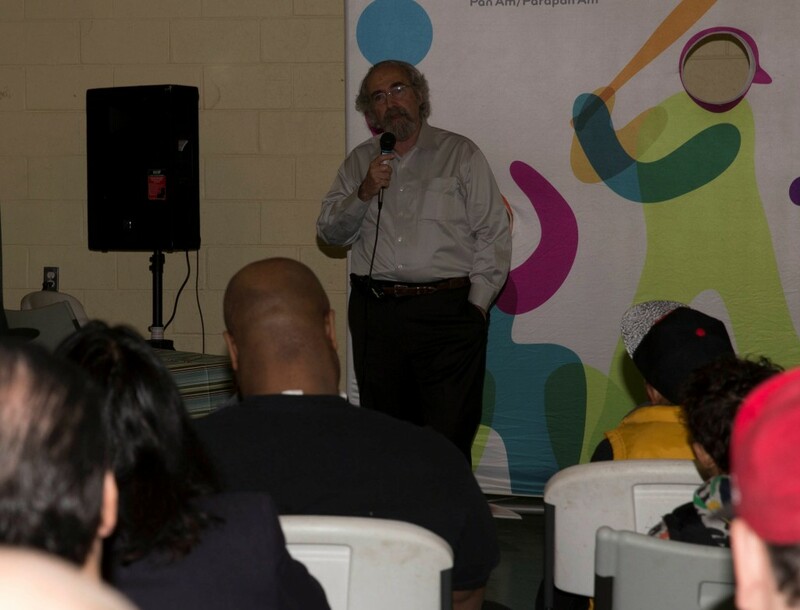 Friday April 24, 2015 at the Alexandra Park Community Centre, downtown Toronto.